Gymshark has gone from success to success and is now one of the most popular brands in the UK. As a result of this, the trend to ‘look good while working out’ has gone through the roof, with 100 million plus uses of the hashtag ‘fitness’ on Instagram. 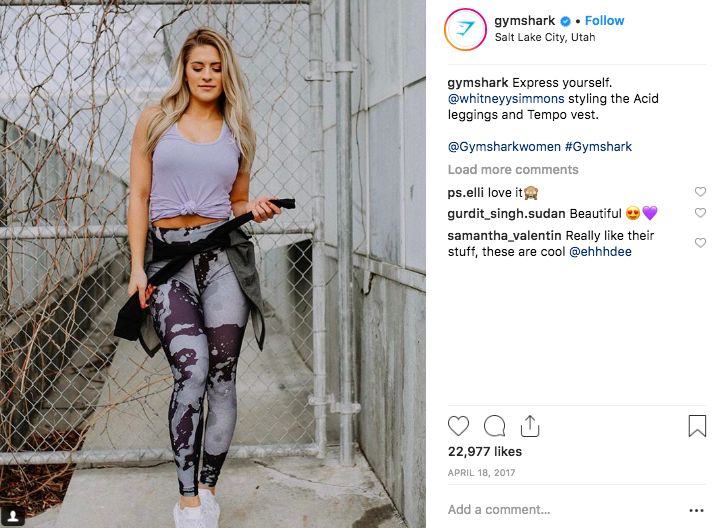 Gymshark identified a gap in the market for fashionable gym-wear and saw a huge increase in the number of young people consuming ‘branded goods’. They then grew their brand through social platforms alone, a huge contributor to their success. In fact, their Instagram now has 2.7 million followers! It’s also thought that their success has contributed to the revival of brands, such as Ellesse and Kappa. Nowadays, 2 out of 5 people (nearly half!) 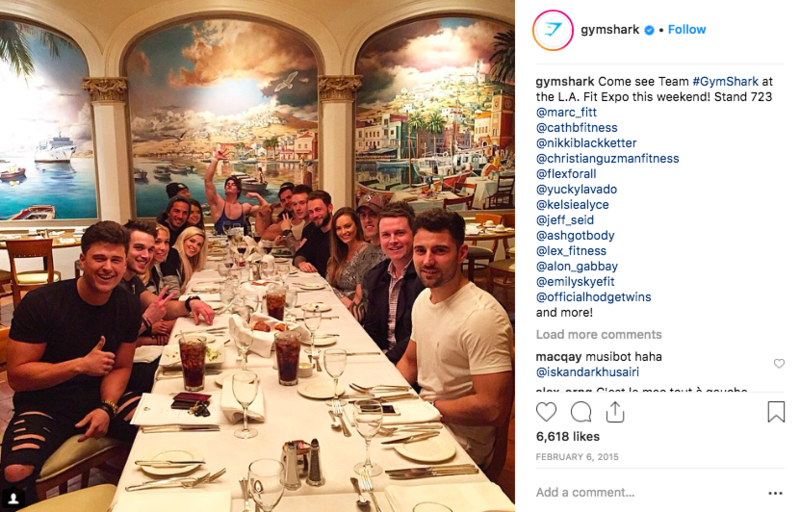 are using social media to discover new brands and GymShark were lucky enough to come in at the time of social super-growth, just six years ago. How Did Influencers Play A Part In Their Success? How Has Their Strategy Changed Over Time? 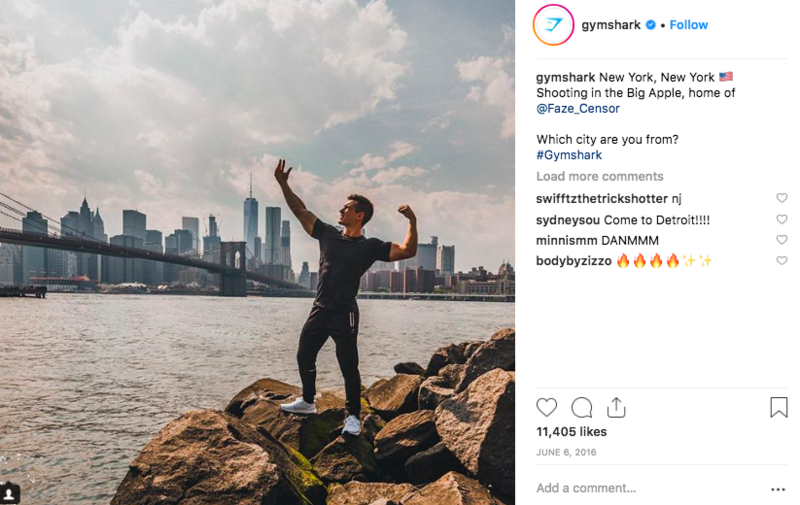 Thanks to Instagram, we are able to view every piece of content ever put out by GymShark on their profile. And the change in the type of content they have published over the last six years has changed dramatically. 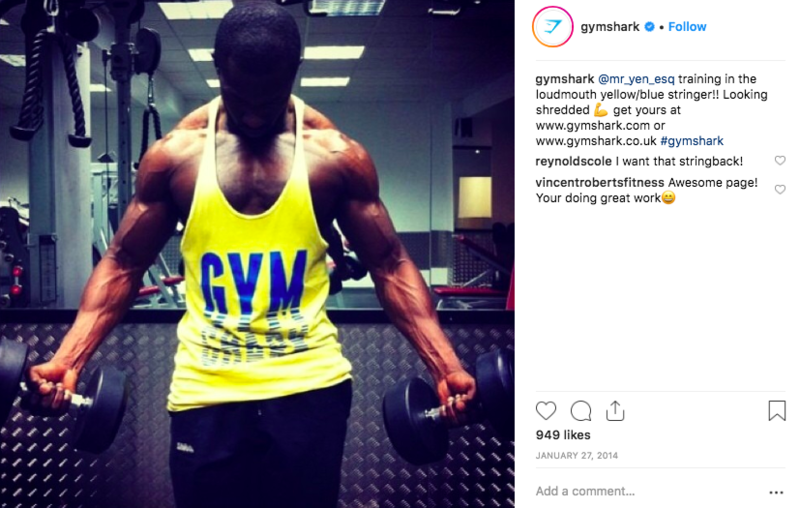 For example, in 2014, GymShark ran a fairly small campaign where they asked fans to submit their own artwork, featuring their products and logo, with the chance to win a new tracksuit. The image has just 684 likes (which we are sure has increased over the years, since their success). Other early images are very overly-edited, with a heavy focus on male, user-generated content (UGC). But just a year later, we are already seeing a huge difference in the type of content used. They’re now using their own content from professional photo shoots. Lighting is on-point, and women are becoming more prominent across the platform. But there is still a huge focus on the faces behind the brand, which is where their brand personality really shines through. Likes and comments are now in their thousands – the brand is starting to take-off. We’re now at 2016, and UGC is becoming more and more prominent. Except that this time, the quality of the content is a lot better, as Instagram becomes the go-to destination for bloggers, ambassadors and industry leaders. Again, an increase in likes and comments from thousands, to tens of thousands. It’s now 2017, and we’re struggling to tell the difference between GymShark photoshoots and UGC! The need for quality and aesthetically pleasing content is at an all-time high. We’re also seeing a shift of focus, from GymShark being just a sportswear brand to becoming a casual fashion brand as well. This change has helped them to target new audiences, so it’s no surprise that each piece of content is in excess of 20,000 likes. And we’re back to 2018, finally! 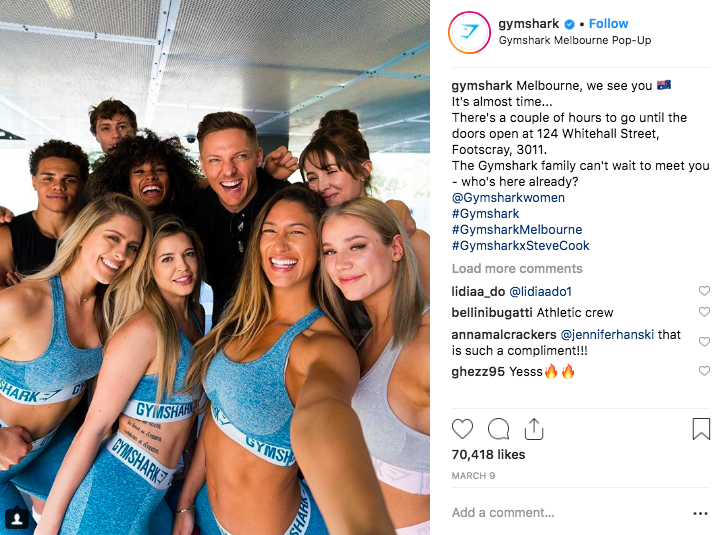 The focus on the #gymsharkfamily is growing, with about 30% of their posts featuring groups of employees, brand ambassadors and ‘meet-ups’. It’s interesting to see that the lonely act of scrolling through your Instagram feed, is heading back to the roots of community, tangibility and ultimately being together – we think this should definitely stay! But where do you think the brand will be heading next? Let us know in the comments below!